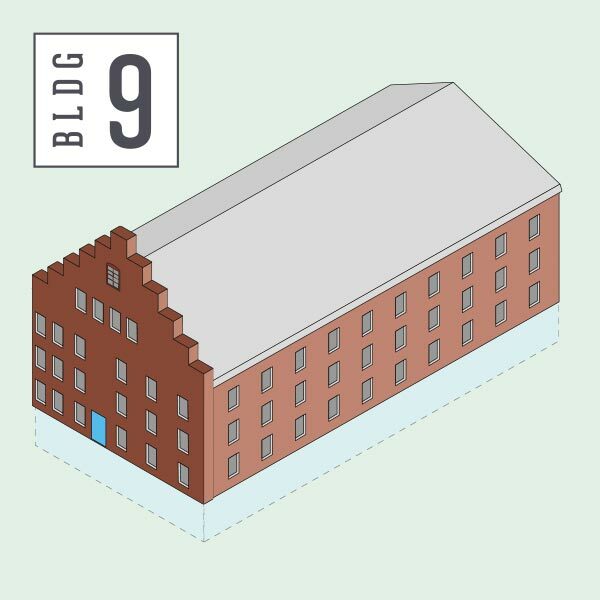 Building 8 is the largest of our iconic tobacco warehouses and is a “must see” destination if you’ve never visited Green Front before. Whether you’re looking for American-made masterpieces, from top names like King Hickory, Amish-crafted Barkman or on-trend lifestyle brands like Rachel Ray and Magnolia Home, the four floors of Building 8 are chock full of home furnishings and decor. With everything from vintage English signs to outdoor furniture, Building 8 truly has it all. Also known as the Craddock Terry building, Building 10 is rich in local history. 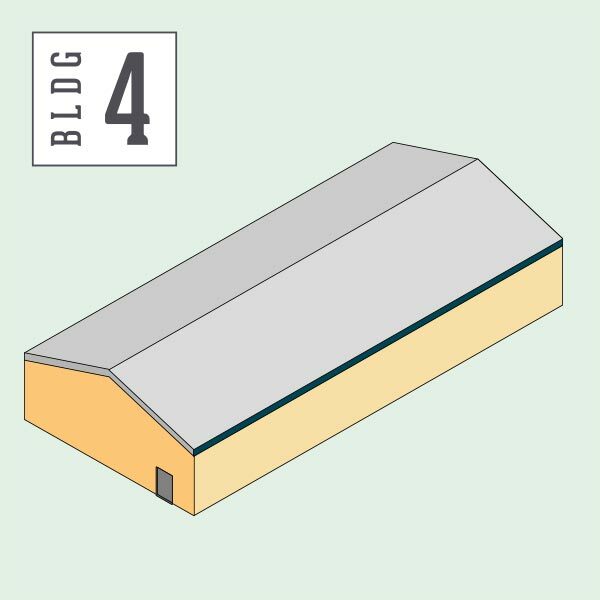 The first half of the building was a tobacco warehouse like its neighbors, however the second half was added on later and served as the Craddock Terry shoe factory. Another fact of historical interest is that the second half of the building was supposedly built from brick taken from the pilings of the nearby, famous High Bridge, a key point of interest during the Civil War. 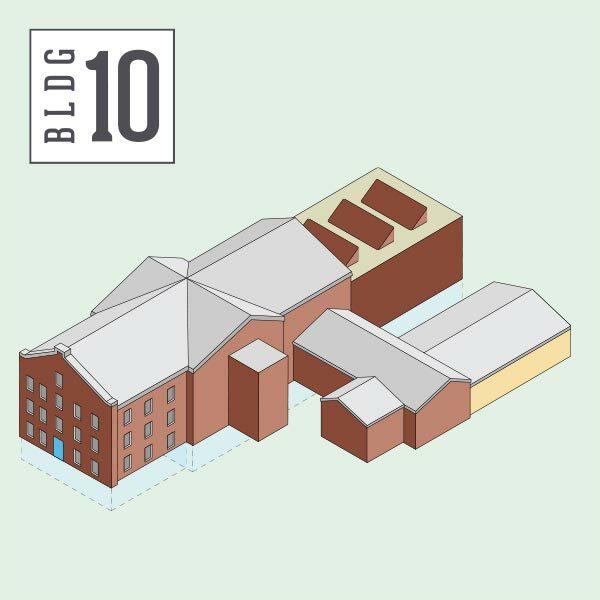 Apart from history, Building 10 is also the home of manufacturers such as Theodore Alexander, Keno Bros., Harden, Lilian August and many more. Home to Green Front’s signature home decor sister company, Green Front Accessories Inc., Building 5 is the epicenter of our home decor collection. From clocks to abstract art to exotic direct import poufs, vases, pillows, you’ll find the finishing touches you're looking for in Building 5. There’s also plenty of furniture and light fixtures to be seen here as well. Don’t forget to check out Accessories Inc.’s collection of seasonal items, particularly before the holidays, when a wonderful selection of trees and ornaments are featured. 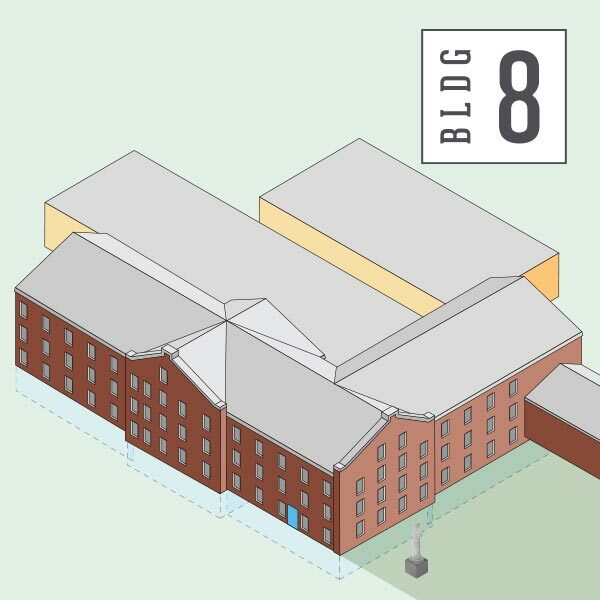 With three full floors plus a basement level to explore, Building 6 features a slightly more modern direction. Building 6 is Green Front’s contemporary, mid-century modern and industrial building. 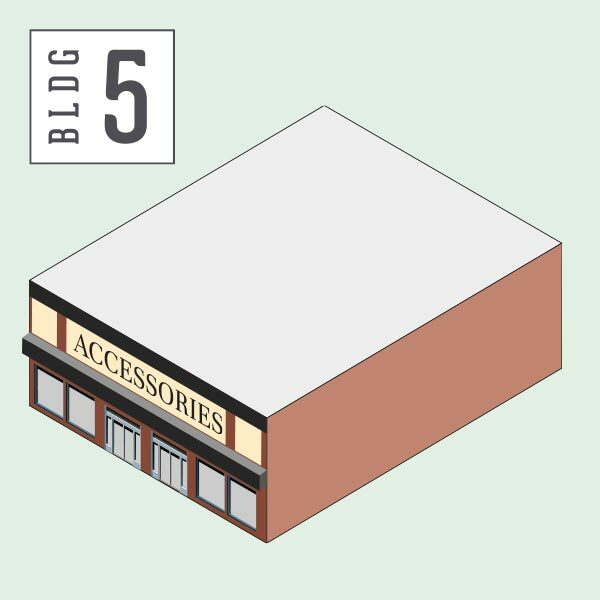 Directly across from our Accessories Inc. buildings, Building 6 is tucked into Farmville’s picturesque downtown Main Street. From the basement to the loft-like vibe of the top floor, Building 6 is a classic crowd-pleaser. From the eclectic selections and antiques in the basement to our clearance leather furniture on the fourth floor, Building 9 has a little of everything. Our Leather Gallery is located here as well as tons of home decor items from Chelsea House. A few other key manufactures to watch for in Building 9 are Jonathan Charles, Hickory Chair, Wildwood and Fredrick Cooper. And of course, you’ll want to the view of downtown once you make it to the 4th floor. 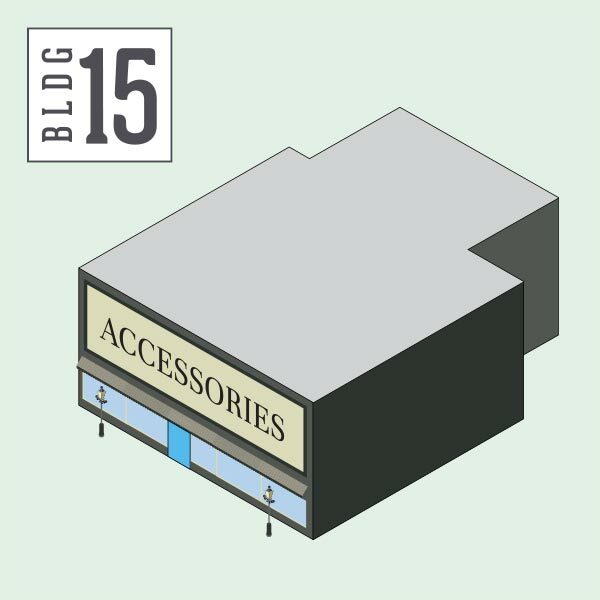 Think of Accessories Inc., aka Building 15, as the sequel to Building 5. Here you will find more of everything you loved in Building 4. You will find upholstery from Sherrill, lighting and casegood from manufacturers like Four Hands and even more rugs, in styles from casual, hand-tufted to machine-made. 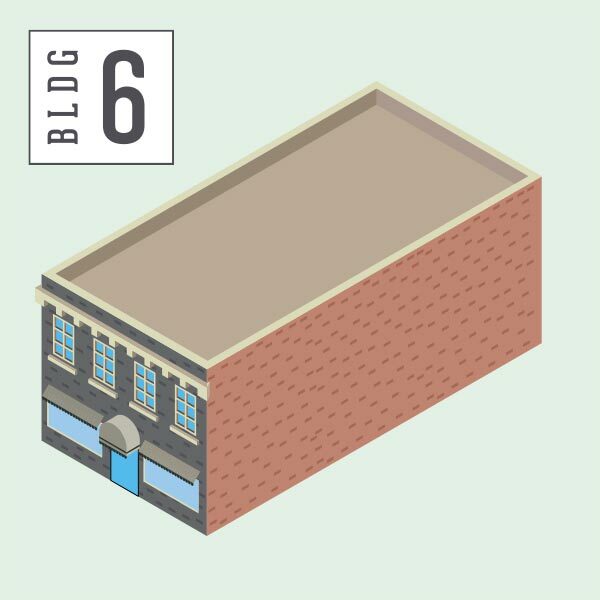 Another one of our Main Street buildings, like Building 6, Accessories Inc. is tucked between other beautiful storefronts, inviting you to explore and enjoy all there is to see and do in downtown Farmville. The second addition to Building 1, Building 2 is a mix of rugs and furniture, as well as our new Latiyal showroom. Building 2 is also where our imported rugs from India are offloaded. They are stored in bales as they wait for our rug team to open and process them. 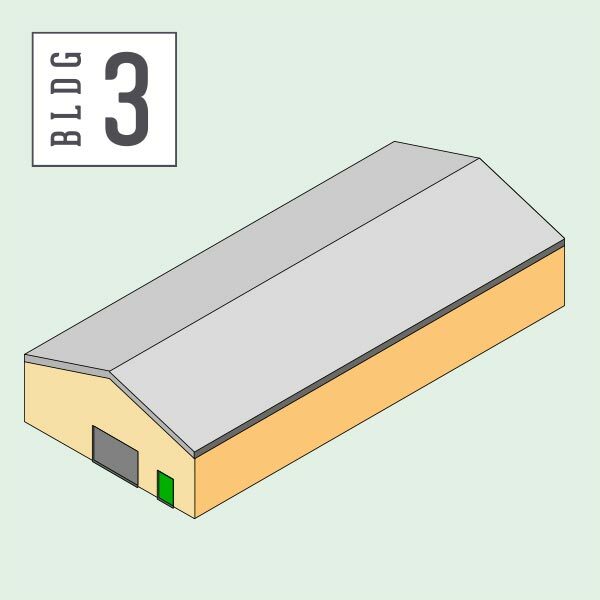 Building 3 was the first addition made to Building 1. You will find a large selection of contemporary and transitional rugs, as well as round and square rugs. Building 3 has a pick up door where rugs are loaded into our customer’s vehicles following purchase. In addition to rugs, you’ll find one-of-a-kind imported furniture and decor items. 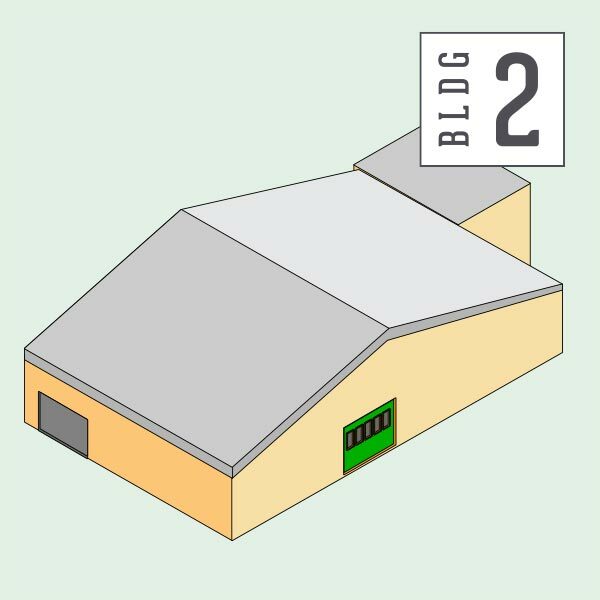 Building 1 is the oldest of all our buildings, but it represents the “new face” of Green Front. The building’s striking, Metzger-designed exterior was slipcovered over 50 years ago. It underwent a meticulous renovation featuring a reconstructed facade in our signature Charleston Green. 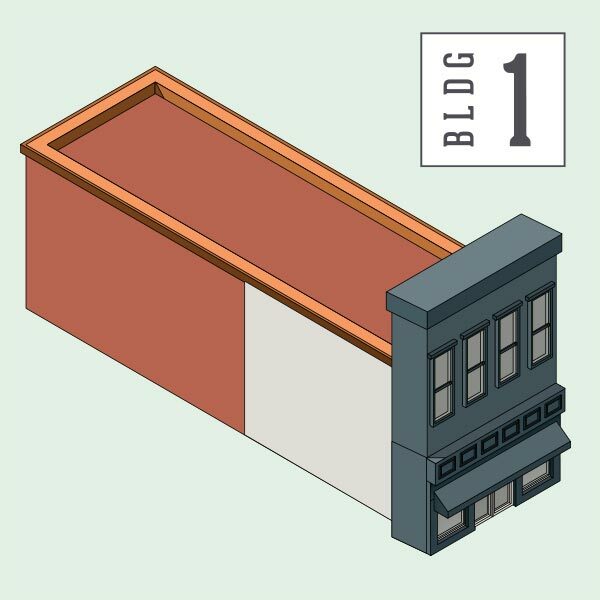 With a turn-of-the-century Main Street vibe, Building 1 features polished hardwood floors and high beadboard ceilings. Home to our breathtaking “White Room,” Building 4 directly adjoins Building 3 and is full of our 10’x14’ hanging racks plus plenty of Indian treasures. With the lower floor dominated by racks of our largest size rugs as well as the gallery ambience of the “White Room,” the upper level holds everything from runners, Dhurries and Kilims to a wide collection of Indian imports.